Integrity Staffing Solutions – How Am I Supposed to Get a Job When I Have No Work Experience? Home>Blog>How Am I Supposed to Get a Job When I Have No Work Experience? How Am I Supposed to Get a Job When I Have No Work Experience? If it's any comfort to you, you're not alone. This is the roadblock faced by all new graduates, as well as people of any age who are changing careers. Even those who have an employment history but it's not recent — for example, if they left the workforce to raise children — often have trouble competing in the job market. 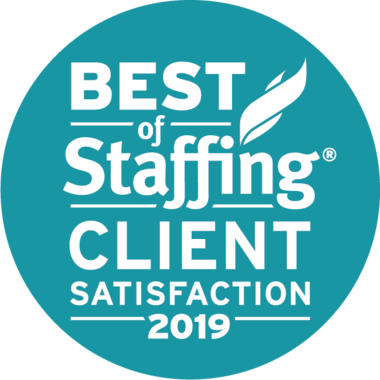 Here at Integrity Staffing Solutions, we have counseled thousands of individuals caught in this dilemma, and learned which strategies are the most successful for overcoming it. Below are our top 3 tips to get you started on the path to your dream job. 1. Translate your non-work experience into marketable skills. If your list of previous activities is pretty short, start adding to it with some new ones ASAP. 2. Get your foot in the door any way you can. Face it, you probably won't be able to walk directly into the job you were educated for, not when there are at least 8 other people with better experience than you applying for it as well. The vast majority of us have to work our way up; but you can't do that unless and until you get hired. Take any job that's available at the company of your choice, no matter how menial or distant from your field. Once you're in, seize your opportunities to show what you can do. An unpaid internship is another inside track that could lead to a permanent employment offer. This blog writer's first job out of college was as a gofer at an ad agency. Soon came an opportunity to help out the swamped copywriters, the boss liked the result, and that gofer ended up managing the entire writing team. Recruiters are naturally drawn to those applicants who are most informed and passionate about working for their organization. If you can't beat out your competition in proven skills, beat them in the amount of effort you put into learning about the company, the industry in general and all the market conditions currently affecting it.